minutes walk away. If you are looking for privacy, relaxation and luxury this is the property. 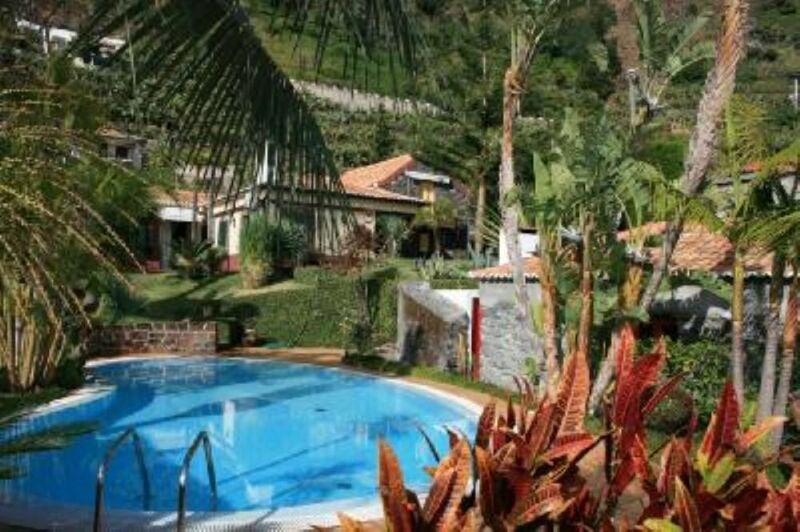 Fajã Do Mar, Where Temperatures Never Drop Below 19ºc The Perfect Holiday Hideaway With Swimming Pool And Access To The Sea If you want to get away from it all, relax and simply enjoy the beauty of Madeira’s dramatic coastline, then Villa do Mar is the perfect choice. Situated 30 metres above the almost deserted pebble beach, this idyllic, rustic 3 bedroom villa is the ultimate holiday retreat. The lounge/dining area is open plan and above there is a mezzanine with 2 single beds - ideal for children. The master bedroom and one of the twin rooms have direct access to the garden and the third bedroom has a balcony with sea view. The outside space is fantastic and the views will take your breath away. The doors from the lounge open on to the wooden terrace which surrounds the front area of the villa. The garden is large with a variety of indigenous plants and palm trees and leads down to the sunny swimming pool area, with sun loungers and parasols. Notes on accommodation: The perfect spot to relax with a glass of wine and watch the beautiful sun sets. Adjacent to the pool is a unique purpose built BBQ room with kitchenette and balcony overlooking the beach below. With your own private access to the beach hut, what more could you want? Outside the villa is secluded and off the beaten track. The garden is large with a variety of indigenous plants and palm trees and leads down to the sunny private swimming pool area and overlooks the pebble beach. Access to the Beach & Cabin support: There is a private access to the beach hut for your personal use and for your convenience it has a fridge and toilet. The pebble beach is only 30 metres below Villa do Mar and is deserted for most of the year. There are many other beaches close by, the most popular being Madalena do Mar and the sandy beach at Calheta. Further details: Madalena do Mar is a small village located on the south west coast of the island with beautiful sea and cliff views. Its name came from the legendary Polish Prince of the 15th century, Henry Allemão. He lost a battle in 1444 and was given land by João Gonçalves Zarco and established a great-populated farm where he built a chapel and dedicated to the Saint Mary Madeleine. It is a characteristic fishing village with a beautiful promenade along the pebble beach. Its location and accompanying climate has helped it to establish the biggest banana plantations on the island. There are several restaurants for lazy lunches or evenings out. Calheta with its man-made golden beaches is popular with tourists and locals alike. If you are interested in knowing how the white rum is made, we recommend a tour of the ‘Engenho da Calheta’ the rum distillery where you can wander around and sample the produce. Centro das Artes Casa da Mudas is a new art centre located at the edge of a cliff overlooking the sea.